Having a structured goal, such as studying for the GRE, GMAT, LSAT or MCAT not only alleviates that boredom but is a great way to get some good and focused preparation out of the way for one of these important exams. Once a student is saddled down by several courses during a school semester, it can be quite difficult to not only muster up the time to study but the focus and the cognitive resources to learn the material and take the diagnostic tests well. I have both taken advantage of the holidays to study for my own important entrance examinations such as the LSAT and the MCAT but also tutored my way through the holidays. This holiday I am saddling up to get some tutoring students prepared for the upcoming SAT and ACT exams. I enjoy tutoring during this time because I feel I get more of the student’s attention and therefore can make more of an impact on his/her score. If you are one of those individuals who have already put aside time this December and January to prepare for your future goals, Bravo. Unsure where to begin? 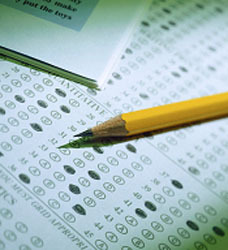 Hire a test prep tutor to help you optimize and structure your test preparation.